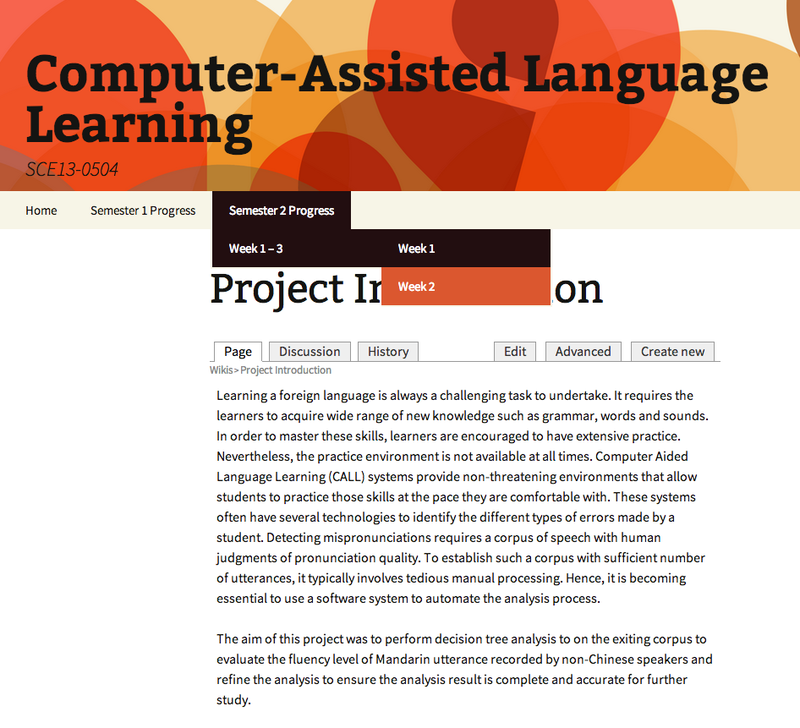 Using a blog with a wiki plugin, students update the progress of their projects to their supervisors online. 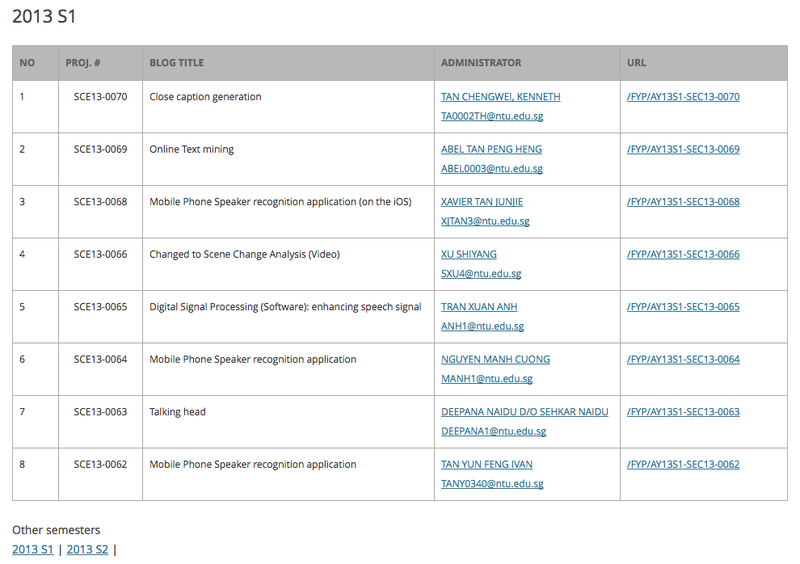 A landing page was created to include all the student projects as a listing and the latest project updates via site feeds for ease of tracking for the supervisor. 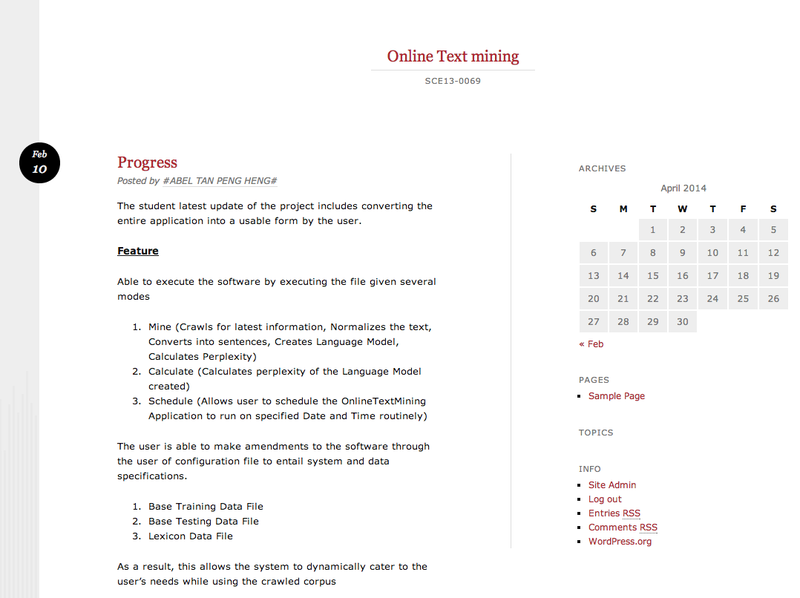 I think that this is a great tool to help me track the students progress for their FYP, as well as for the students to showcase their work and using it update me.